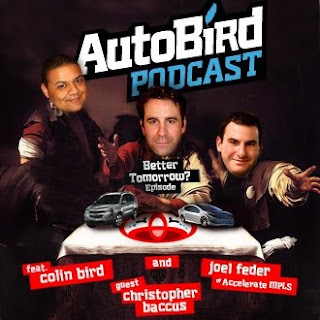 I had the pleasure last Sunday to be the first guest on the Autobird Podcast. 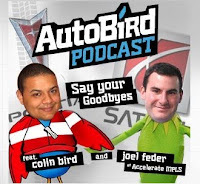 The Podcast is hosted by automotive bloggers Colin Bird (@Auto_Bird) and Joel Feder (@joelfeder) both of whom I've got to know through Twitter and when they have visited Detroit for various automotive events. Autobird covers automotive industry news, car reviews, and this last weekend we even talked about marketing. * Chevrolet Malibu is a great car but sales disappoint? * American Top Gear still Lives? * Dodge Avenger and Chrysler Sebring may get new names? Last but certainly not least, we discuss our main topics. This week those topics included the Chicago Auto Show and Toyota’s a better tomorrow. One last comment: The show image was done by Colin. He gets some sort of sick pleasure inserting people into ridiculous scenes. If you find the Photoshopped Caravaggio painting disturbing, you're not alone. The only saving grace is that Colin didn't put me in Muppet outfit like he has done to his co-host Joel. Please checkout Joel and Colin's blogs too. They bring their own unique perspectives to the industry that are definitely worth a read.